Germany invented our whole idea of romance in the 18th and 19th centuries. The damsel in distress, the gothic forest, Rhinemaidens, various otherworldly creatures – whatever floats your boat. Whether it’s getting rescued by your one true love, being a Disney Princess or being a bit naughty at the opera, here are 11 ways you can indulge your romantic fantasies while on holiday in Germany. Germany has many castles. In fact, they have a whole road that is just 1200km (745 miles) of castles stretching from Mannheim, the south west of the country, straight to the Czech Republic. Neuschwanstein is the most famous of these, but our expert advice is to look out for Prince Charming as a less popular stop on the trail. The math is on your side! Maybe your fantasies involve more than just waiting around for fate to do its thing. If you’re the type to make your own destiny, then head directly for the north of Germany and their knights’ castles. The pick of the crop is Burg Eltz on the Rhine, but Wewelsburg in Büren or Reichsburg Castle in Cochem also have loads of medieval artefacts. With its high tower perched on a cliff over looking the valley, Lichtenstein Castle, about 45 minutes from Stuttgart is the perfect place to live out any and all Rapunzel fantasies. If that’s not a convenient location, then Reichsburg Castle in Cochem or Marienburg Castle in Hanover also have suitable towers. Maybe castles aren’t your jam. Maybe your idea of romance is more about running through the cobbled streets of a medieval town reading your books and talking to neighbours as they hang out of their windows. 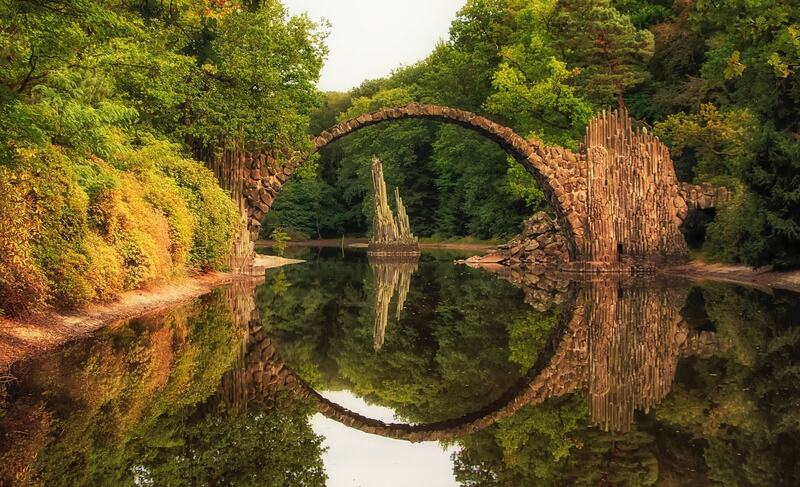 If that’s the case, then Quedlinburg in the Harz mountains of northern Germany is the World Heritage Site just for you. Rothenburg ob der Tauber in the south of Germany or Görlitz in the east also have their own significant medieval charms. Not like that. Or maybe a little like that. There are a lot of rules in Germany that tourists find a bit odd. Fortunately, one never has to wonder if they are doing something wrong. Someone will definitely yell at you. Even in the sauna. None of this eye-rolling and passive aggressive sighing you get in the UK. If a meet cute in the sauna is part of the romantic comedy you are currently living in, then there is no better place than Germany to see how it plays out. Visits before noon are a good time to engage the older members of the population. Younger people visit after work or in the evening with friends. It should be noted though, that the sauna is not the easiest of places to chat with strangers. In the 19th century, it was fashionable for wealthy people to hide little delights all over their property. Sometimes these referenced Greek sculpture or architecture and other times they were optical illusions. If you’ve already got a partner along for the ride and want to impress them with a romantic surprise, you’d be hard pressed to do better than this little bit of magic. Join a centuries old tradition and get a box the next time you go to the opera with a special friend. It used to be very difficult for lovers to be alone in public. Boxes offered the respectability of being in the public alongside the curtains of really not. Modern opera houses and theatres tend not to have closed boxes. Try the Bayerisches Staatsoper in Munich, the Semper Oper in Dresden, the Festspielhaus in Baden-Baden or the Margraval Opernhaus in Bayreuth. In the snow, even! All those readers nursing Orient Express fantasies but finding themselves without the funds to go luxe all the way to Istanbul might find a momentary reprieve in the Harz mountains in northern Germany. The full 50 minute ride is just 27€ ($32). If you fancy yourself a Snow White or Cinderella, instead of just a bog-standard princess, or are visiting places closer to central than southern Germany, then the Fairy Tale Route might be the best option. Running 600km (373 miles) from Hanau to Bremen, there’s plenty to see and experience that’s just a little bit magic. 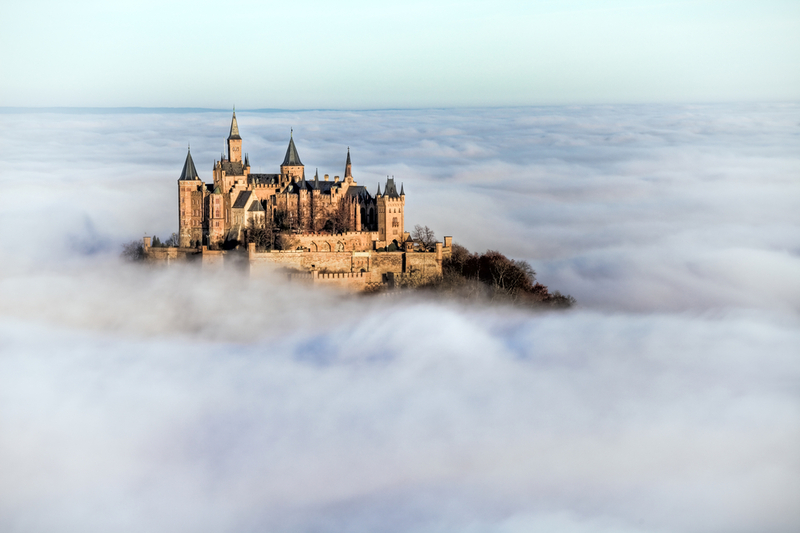 5 towers, perched high on a hill, a drawbridge, literally up in the clouds – Hohenzollern Castle checks all the romantic boxes. As far as castles go, Hohenzollern isn’t that old, but who cares? More than 350,000 people a year come to the castle to catch a whiff of fairytale romance. About an hour south of Stuttgart, Hohenzollern Castle is a neighbour of Lichtenstein Castle. Double the castles, double the love!